Microsoft Windows 10 (32-bit および 64-bit エディション). Microsoft Windows 8 および 8.1 (32-bit および 64-bit エディション). Microsoft Windows 7 (Service Pack 1) (32-bit および 64-bit エディション). 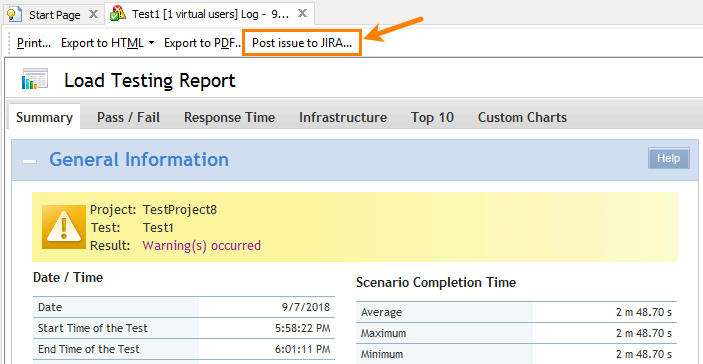 A new metric in the Summary report – "90% Response Time". 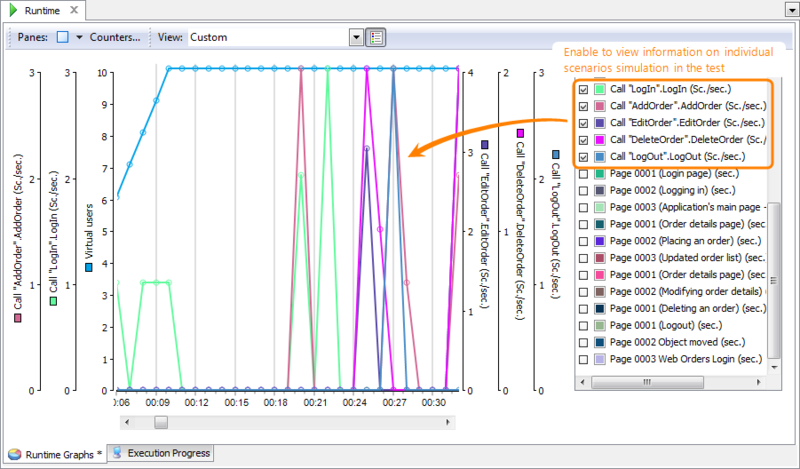 It indicates the load time that covers 90% of simulated requests. 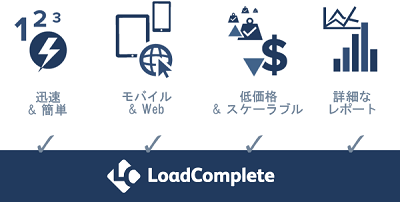 This value provides more reliable estimation for the page load time in comparison with the average load time in situations when the minimum and maximum load time values differ a lot. 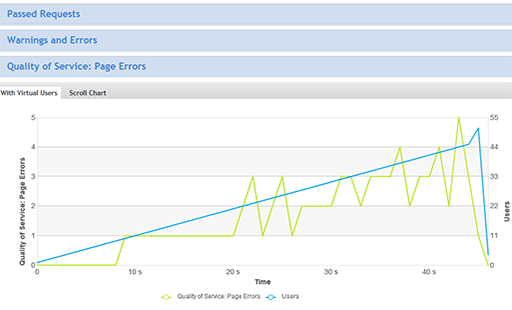 The new Response Throughput metric in custom charts after the test run is over. 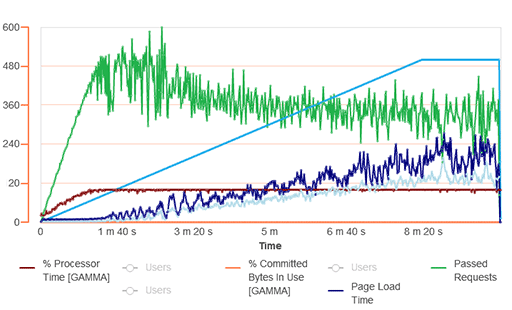 In previous versions, this metric was available only on the Runtime graph during test runs. Before printing reports or exporting them to a PDF file, you can now specify your name and organization to include that data in the report. 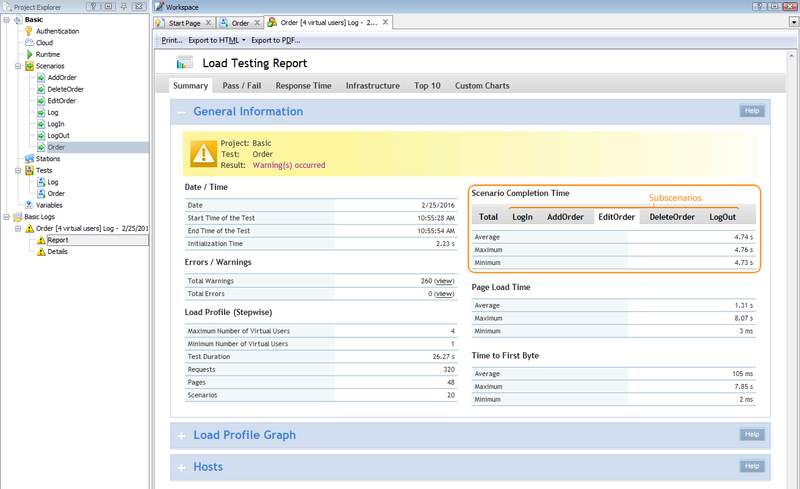 Exporting test results in the new XML tree format. 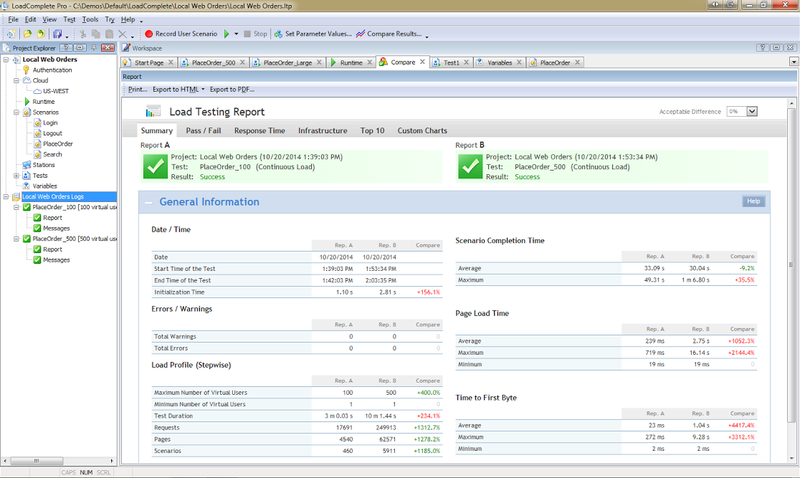 In this format, test results are hierarchically organized by workstations, users, iterations, scenarios and pages. 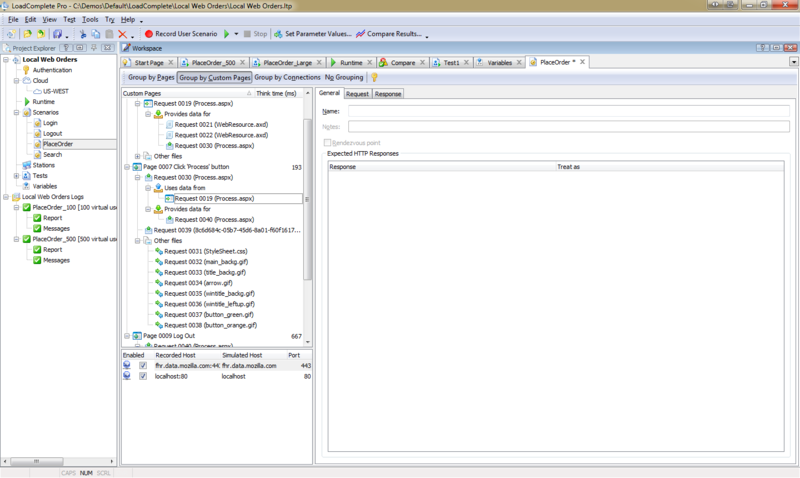 Thus, it is much easier to combine load test results obtained from multiple workstations. The Simulating | General | Logging options have been renamed to make them more descriptive and easier to understand. A number of bugs reported by our customers have been fixed. The non-proxy recording mode is deprecated. It will be removed from the product in one of the future releases. We recommend that you record traffic in proxy mode: it is more stable than the non-proxy mode and allows recording traffic in browsers and applications which the non-proxy mode does not support, for example, in Microsoft Edge. Improved automatic pagination. 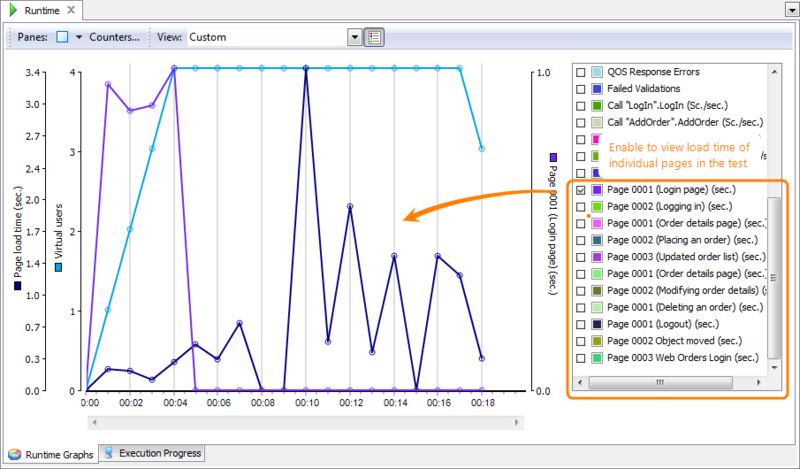 LoadComplete now records a new page only for traffic that was initiated by user actions – mouse clicks and pressing ENTER. Added predefined exclusion filters for third-party servers like Google Analytics or Skype, to help remove clutter from the recorded traffic. Start page with recently recorded URLs. 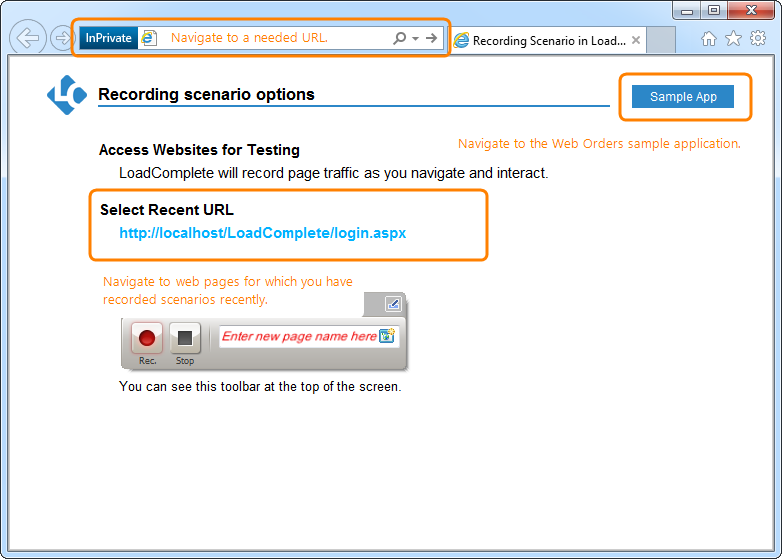 When you begin the recording, LoadComplete now shows the quick start page in your browser of choice (this page is not included in the recording). 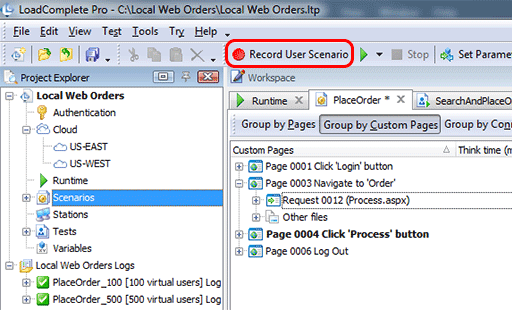 From here, you can navigate to the URL you want to record, or select from the recently recorded sites, or open LoadComplete’s sample web app, Web Orders. You can now specify a custom name for the first page in the recording. 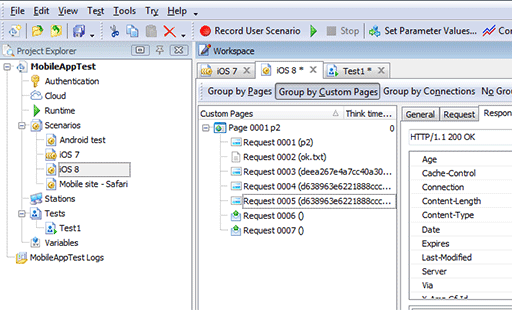 To do that, enter the page name into the Recording toolbar before you navigate to a URL. Improved default naming for the recorded pages. 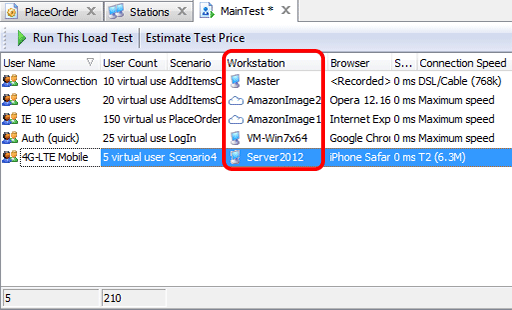 The new Set Variable Value operation lets you change variable values or create new variables during the test run. For example, you can transform the current value of a variable by using functions such as Concat, Replace, URL encode and others, or build the value based on other variables. 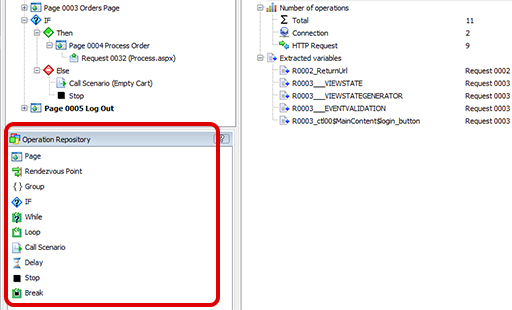 The If operation can now check if a specific variable exists. You can now set the expected status codes on the scenario level. These codes will apply to all responses in the scenario. 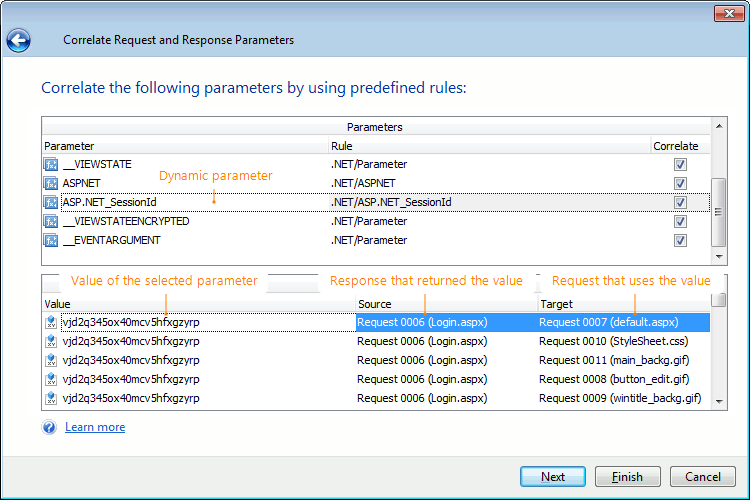 See Setting Expected Response Codes. 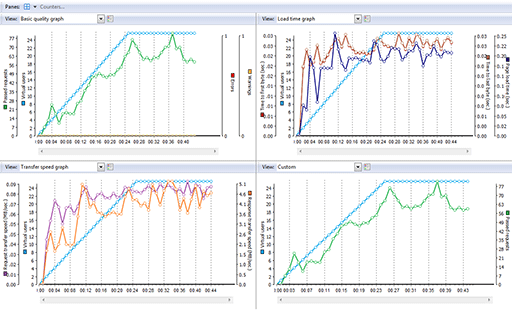 Stepwise load profile offers better sharing of load between multiple VU groups. In previous versions of LoadComplete, the stepwise load profile simulated virtual user groups one after another: first, all VUs of Group 1, then, all VUs of Group 2, and so on. Now, each new VU joining the test comes from the next group: VU 1 comes from Group 1, VU 2 comes from Group 2, and so on. 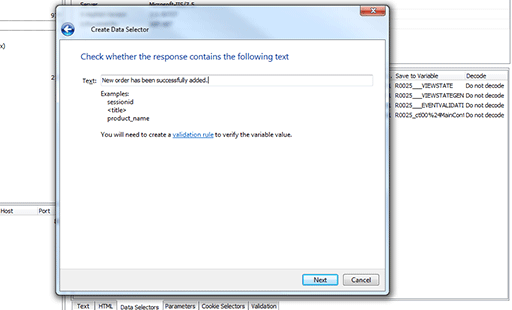 The wizard now lets you create data selectors for text that includes line breaks. The regular expression editor now highlights the found matches in source text. You can now select a conversion rule (URL decode, HTML encode and others) to apply to the extracted data. Added a wizard that helps you create data replacers to replace hard-coded values in requests with variables. 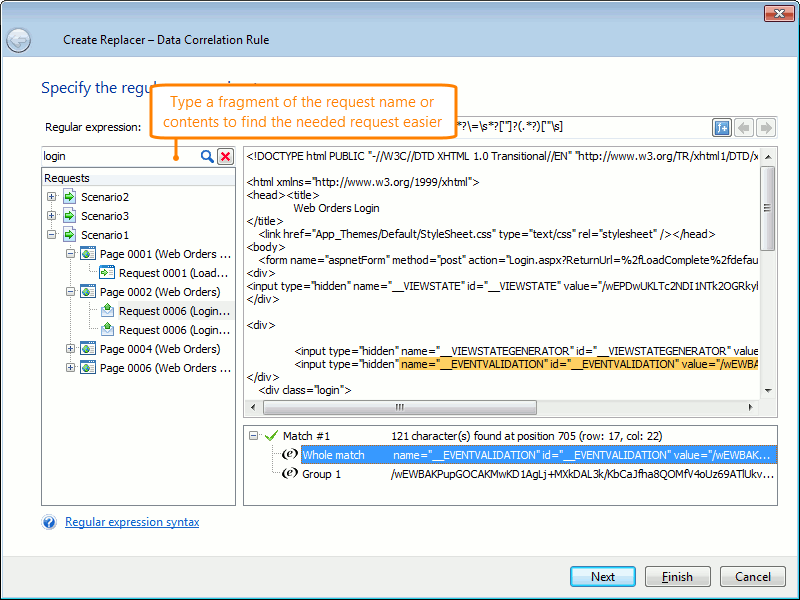 When creating data correlation rules, you can now build regular expressions visually by clicking the button. The Scenario editor now supports undo and redo for up to 100 actions. 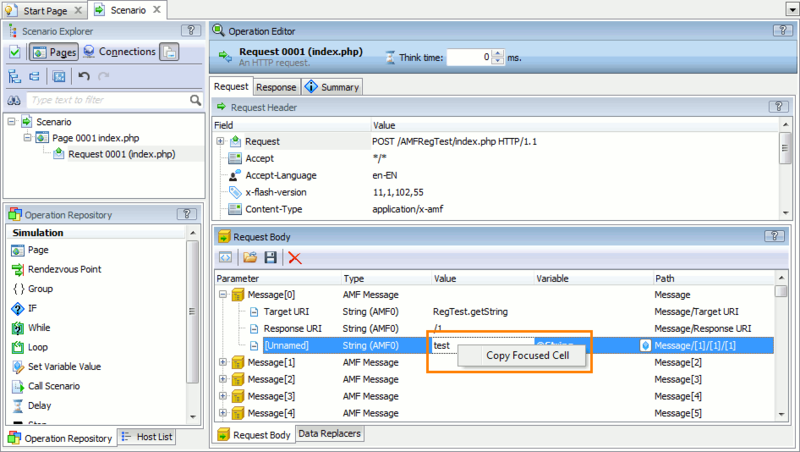 Searching for text in a scenario now highlights the values found in the request and response bodies, and selects the values found in the headers. 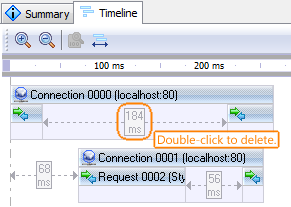 The timeline in the Page and Connection operations now lets you navigate to a specific request or connection by using the Show in Scenario Explorer command in the context menu. When viewing data selectors in responses, you can now quickly jump to the request that uses the selector by double-clicking that request in the list. 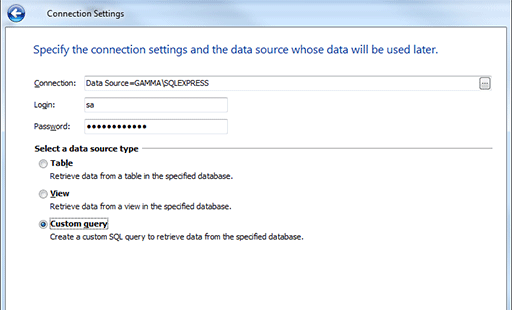 Similarly, you can jump from the data replacers to the responses that the data is extracted from. 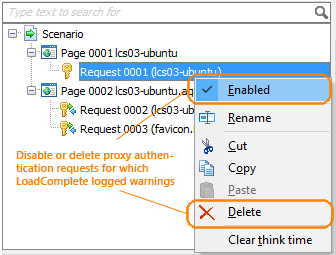 New logging options let you store logs only for failed test runs, or disable logs entirely. Added support for Amazon EC2 regions Mumbai (ap-south-1) and Seoul (ap-northeast-2). You can now specify a Virtual Private Cloud (VPC) where you want to launch EC2 instances with virtual users. 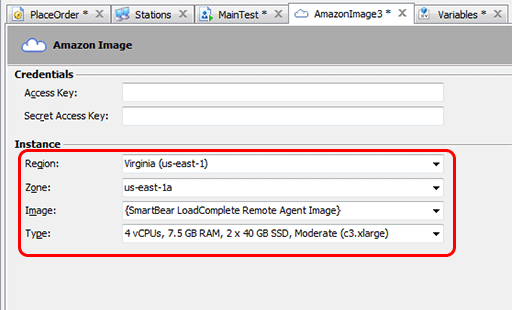 When a cloud test ends with an error, EC2 instances launched from the default SmartBear LoadComplete Remote Agent Image are now terminated automatically. 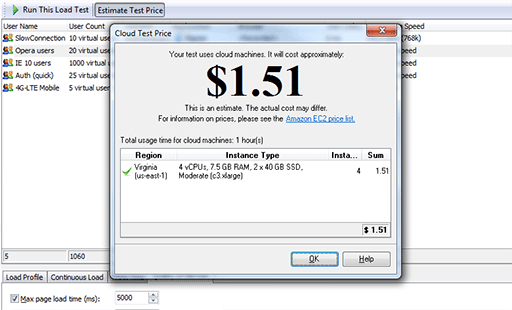 For details, see Load Testing on Cloud Computers. Note: Cloud testing now requires Microsoft .NET Framework v.3.5 instead of 2.0. 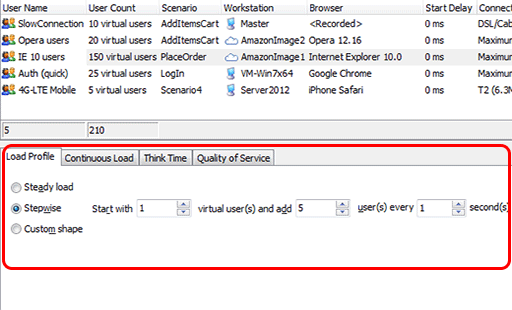 LoadComplete no longer supports Internet Explorer 7 and 8 for load testing. "Sentinel Runtime Environment Installer failed with the following error: file processing error."